Ever wondered how the comedians that you see on TV get their acts together? It's on nights like these. Featuring about 10 comedians, some that you may be very familiar with, most trying out new material and a few trying to impress David into giving them a weekend spot. This is where the art of stand up comedy truly begins. The nights are compered by David Mulholland. We are currently without a weekend venue. Watch this space as we will have a new one soon. If you have a central London venue that seats at least 100, we are interested in hearing from you. "Soho Comedy Club [books] good, solid line-ups featuring professional, well-established circuit comedians and talented rising stars. 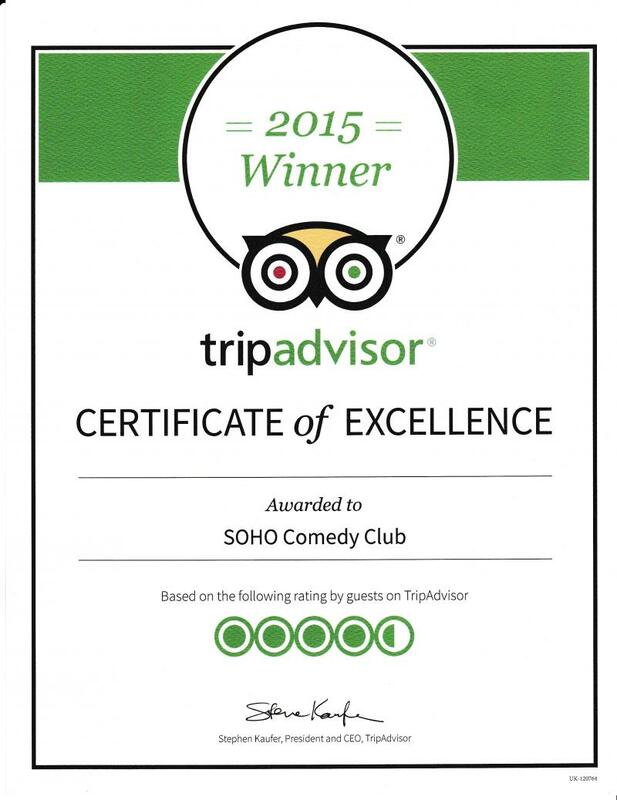 Soho Comedy Club particularly has a very friendly atmosphere"
"With most comedy clubs ramping up their prices at weekends to cash in on the off-the-clock laughter-seeking Londoners, Soho Comedy Club offers just as good line-ups at incredibly good value for money"